Aqua Blue Sport have signed talented Irish rider Eddie Dunbar for the 2018 season. 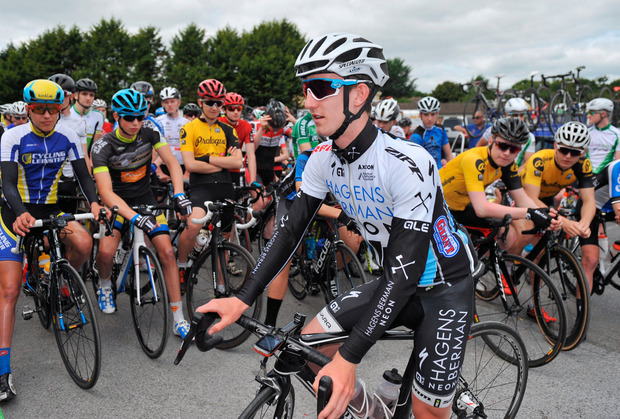 The 20-year-old from Cork joins the Irish ProContinental team after a string of impressive results, including his stunning victory at the U-23 Tour of Flanders in April. Dunbar will team up with compatriots Martyn Irvine, Conor Dunne and Matt Brammeier from January 1. Aqua Blue owner Rick Delaney, the Monaco-based Cork man, had previously tried to recruit the promising young rider ahead of the team’s debut season. "It is a dream come true to ride for an Irish professional team – it is great that I am going to have a chance to be part of this project. I have spent three years at Continental level and I now feel that the time is right to go up a level," said Dunbar, who has spent two seasons with the renowned American development team Axeon Hagens Berman. "The programme that Aqua Blue Sport offers, the big classics, stage races and the chance of a Grand Tour, all made my decision very easy. The team offers a dedicated performance staff and this makes for a great environment. I think, with this in mind, I can continue to make progress." The team’s general manager Stephen Moore described the signing as a "huge coup". "We all can’t wait to see him in the blue and gold of Aqua Blue Sport," he added. Aqua Blue have recorded some impressive results in their first year, with Larry Warbasse winning a stage of the Tour de Suisse and Austrian rider Stefan Denifl winning the overall at the Tour of Austria. The team will ride in their first Grand Tour, the Vuelta a Espana, later this month.